The purpose of the Church Accountant - Bookkeeper Job Description is to provide financial services to church members and professional church staff. The Church Accountant has the overall responsibility for the management of the accounting business office and often including supervision of the staff or volunteer assistants. 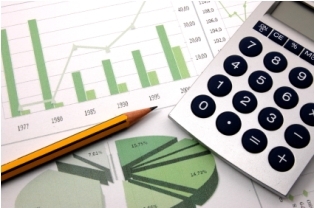 Do you use QuickBooks for your church accounting needs? If yes, then the "QuickBooks® for Churches and Other Religious Organizations" by Lisa London, CPA eBook below is a must for you! Click here for more information on "QuickBooks® for Churches and Other Religious Organizations" by Lisa London, CPA. The Church Bookkeeping Practices Policy and Procedure is available free to download, customize for your church and print so that your bookkeeper will have organization, just click the link above. To obtain and record pledges made during the [Special Church Event]. To prepare quarterly giving or contribution statements. To balance checking account and investment accounts and submit reconciliation to treasurer for signature. To process payroll on a biweekly basis. The Church Accountant job description below is a sample in which you can use to create your own job description and go by your church duties for a Church Accountant or Bookkeeper according to your Church Bylaws. You can access many more free church job descriptions that will help you in your administrative or human resources office by clicking the link on the bottom of this page. Return to Job Descriptions from Church Accountant JD.